From left to right: Takayanagi, Head at the Management Section; Tanaka, Director of the Department of Research Programming; Kamei, Director General; Asaki, President of Tokyo Bijutsu Club; Shimojo, Director of Tokyo Art Dealers’ Association; Yoshida, President of Mitosachi-Shokai Co., Ltd.
Offers for donations to the Institute were received from the Tokyo Art Dealers’ Association and the Tokyo Bijutsu Club. The Tokyo Art Dealers’ Association aims to fund publication of the Institute’s research results and the Tokyo Bijutsu Club intends to fund the Institute’s research projects. On March 4, Director General Kamei Nobuo visited the Tokyo Art Dealers’ Association, located at Shinbashi, Minato-ku, and met Shimojo Kei’ichi, the director of the Tokyo Art Dealers’ Association and Asaki Masakatsu, the president of the Tokyo Bijutsu Club. The two representatives talked with our Director General on a wide range of issues ranging from recent topics of cultural properties to painting tools. They also expressed their hopes for our research activities during the course of the conversation. Following the conversation, Director General Kamei presented a certificate of appreciation to each representative. We are glad both organizations are aware of our activities and we are most grateful for their donations. We look forward to putting these donations in funding our activities. Having already been held at the Tokyo National Research Institute for Cultural Properties (Tobunken) on February 27, 2011, the Japan-South Korea Symposium on “The Dynamics of Interaction between Objects and People—‘Evaluation’ in Art History,” organized to mark the publication of the 30th Issue of “Art History Forum” and the 400th Issue of “Art Studies (the Bijutsu Kenkyu),” was held again on March 12, 2011 in the Audiovisual Room of Ewha Womans University Museum in Seoul. 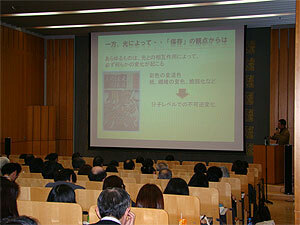 Although the Symposium in Seoul was held on the day after the Great East Japan Earthquake of March 11, 2011, when people were anxious about the destruction caused by the earthquake, the number of people attending the Symposium was so high that there were not enough seats for everyone; it was even more of a success than the Toyko Symposium. 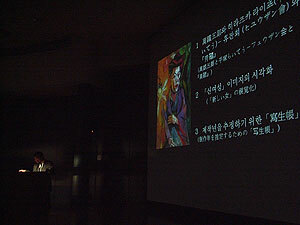 There was a discussion session chaired by Professor Jeong Gang-tak (Dongguk University) during which the speakers answered questions on their presentations, and the differing attitudes towards art history research in Japan and South Korea were discussed, making this a discussion session truly befitting an international symposium seeking to build bridges across national boundaries. Department of Research Programming has published the Compilation of Dated Inscriptions on Japanese Paintings – 15th Century (A5, 720 pages) to report results of its 5-year research project “Documentary Research on East Asian Art.” This volume reproduces and chronologically arranges 833 dated inscriptions from among inscriptions found on paintings produced primarily in Japan in the 100 years of the 15th century, which marked the height of the Muromachi period. This volume is a continuation of the Compilation of Dated Inscriptions on Japanese Paintings – 10th–14th Centuries published in 1984. Inscriptions that are directly inscribed on cultural properties provide a basis for authenticating those properties and determining the era when they were produced, but such inscriptions also serve as an indicator of where to position the numerous works that lack inscriptions. Without question, this compilation of inscriptions provides a foundation for the protection and study of cultural properties. Research often tends to overly specialize, but this compilation consolidates that research to provide new perspectives. Such projects are an important part of the Institute’s ongoing mission. This volume is available from Chuo Koron Bijutsu Shuppan. Please see the website below for details. This research sought to elucidate the techniques used to produce hollow dry lacquer statues of Buddha during the Tenpyo period as part of a Department of Research Programming research project on the Multi-disciplinary Study of Art Techniques and Materials pursuant to a 5-year program that started in 2006. Research Materials: Techniques of Hollow Dry Lacquer Sculpture reports on the results of this research. This volume includes basic data on individual sculptures and images such as X-ray images (black and white) of statues and their internal structures, a feat that would not be possible with surface observation alone. This volume includes a CD version of the Lexicon Database for Color-related Terminology Found in Nara Period Historical Documents, which was part of a research project that took place at the same time. 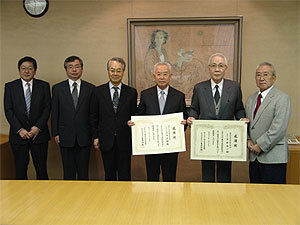 An Agreement on Optical Study of Buddhist Art and Creation of HD Digital Content was concluded between the Institute and Nara National Museum in 2010 as part of a Department of Research Programming research project on Research on the Use of High-Resolution Digital Images. Results of joint research by the Institute and Nara National Museum on the Five Hundred Arhats from Daitoku-ji Temple are reported in Five Hundred Arhats from Daitoku-ji Temple – Report on a Study of Inscriptions. This volume contains images with better rendering of inscriptions that were hard to read with the naked eye. Publication of this volume has revealed most of the details of these inscriptions and represents a significant achievement in elucidating the circumstances governing the production of Five Hundred Arhats from Daitoku-ji Temple. 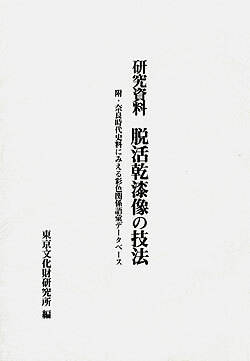 Tokyo National Research Institute for Cultural Properties (Tobunken) has published “Phoenix Hall of Byodo-in Temple, the Wall Behind the Buddha Investigation Material List: Fluorescent Paintings Edition,” a report on the results obtained in a survey of the murals on the wall behind the Buddha image in the Phoenix Hall which was conducted jointly with the Byodo-in Temple in 2004–2005. This publication is the third volume in a series, following on from “Phoenix Hall of Byodo-in Temple, the Wall Behind the Buddha Investigation Material List: Color Image Edition” (published in 2008) and “Phoenix Hall of Byodo-in Temple, the Wall Behind the Buddha Investigation Material List: Near-infrared Image Edition” (published in 2009). It is anticipated that these three volumes will provide important basic materials for future research on the Phoenix Hall murals. Library Catalogue 1 of the National Research Institute for Cultural Properties, Tokyo: Western Art – Works in European languages & Works in Japanese was published in March 2002 as part of a Department of Research Programming research project on the Enrichment of Cultural Archives (overseen by the Library). 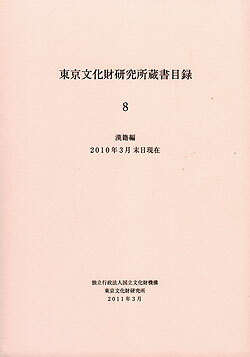 Additional catalogues have been published since, as demonstrated by publication of Library Catalogue 8 – Works in Chinese, the eighth volume of the library catalogue. 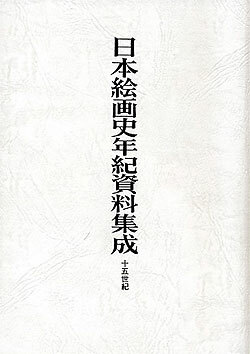 This catalogue lists about 12,000 works in Chinese at the National Research Institute for Cultural Properties, Tokyo. Publication of this catalogue has revealed the full state of works in Chinese held by the Institute and should lead to greater use of these works. An international seminar is routinely held under the auspices of the “NETWORKING OF EAST ASIAN CULTURAL HERITAGE (NEACH),” an organization that consists of the 10 ASEAN states as well as Japan, China, and South Korea. 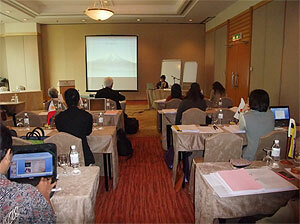 Malaysia hosted the seminar in Kuala Lumpur from March 5 to 8, 2011. The theme of the Seminar was intangible cultural heritage and Mr. Shigeyuki Miyata from Japan was invited to give a lecture on “Documentation and Archiving of Japanese Intangible Cultural Heritage.” Even though some participating states were not parties to the “Convention for the Safeguarding of the Intangible Cultural Heritage,” participants were generally quite conscious of the need for conservation of intangible cultural heritage and an active discussion took place. The Department of Intangible Cultural Heritage plans to actively participate in such conferences and publicize its experiences in Japan. 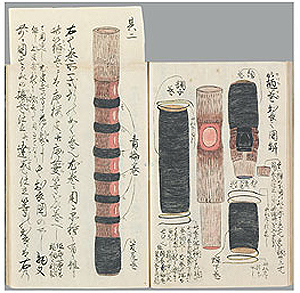 “Gidayu-bushi no Syurui to Kyokusetu”—Records of the Gidayu-bushi of Bunraku, with the categorization of their tunes and melodies. A PDF version of the document in its entirety will be made available on our website. Starting in 2012, Theories of Conservation of Museum Materials will be a required class as part of a university course to train curators. This class requires that students who wish to become curators have knowledge of the conservation of materials with a scientific basis. Although over 300 universities and junior colleges currently offer such a course, the reality is that a limited number of personnel have the expertise sufficient to teach the course. In order to prepare for the start of these classes, lectures on Approaches to Theories of Conservation of Museum Materials took place for 3 days starting on March 8. The lectures were intended for instructors who had been assigned to oversee the course and consisted of 15 lectures related particularly to preventive conservation. The lectures provided information instructors would need to know. The lectures were attended by 81 individuals from around the country, including university instructors and curators overseeing the class on an adjunct basis. Since this was the first time such lectures had taken place, participants praised the lectures but the lasting impression was that many were confused. In the past, involvement with such individuals has been severely limited, but in the future departments that study conservation conditions must play an active role in educating these individuals. From March 8 (Tues.) – 14 (Mon. 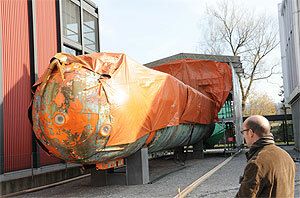 ), the Center for Conservation Science and Restoration Techniques conducted a field survey of conservation and restoration of trains, automobiles, and aircraft in France and Switzerland. The Center also conducted an on-site study of conservation of blast furnaces in Germany. 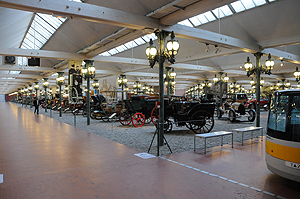 In Mulhouse, France, the la Cité du Train (Musée français du chemin de fer) and la Cité de l’automobile (Musée national de l’Automobile) were surveyed. The number of train cars and automobiles kept by both museums was both considerable and impressive. Train cars were arranged with ample space for exhibits and there was no sense of being closed in, as is often found in railroad museums. Train cars were kept indoors and properly stored. Cars were diligently repainted since this is an aspect visitors would notice, though this aspect did have some drawbacks. Nevertheless, there were various twists in the way exhibits were laid out and the museum is interesting enough to warrant repeat visits. The automobile museum was extremely neat and felt like a museum for car buffs, which is probably the result of the collection being based on automobiles that were originally privately owned. Although the cars were obviously well preserved, many of the cars were resting directly on their tires and marks on those tires were evident. The Verkehrshaus der Schweiz, located beside Lake Lucerne in Switzerland, was surveyed. The museum grounds are over 2000 square meters and feature a space where children can play in the center with exhibit halls surrounding it. 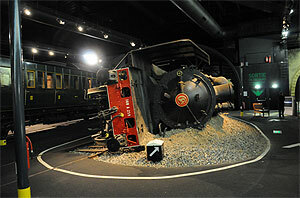 The impressive museum showcases items related to transportation. Although there was an undeniable sense that the collection was somewhat mix-and-match overall, seeing so many things in one place was a joy. Most of the exhibits were made of iron and the museum had apparently taken pains to rust-proof portions touched by visitors. The last site surveyed was an ironworks in Germany. Although its style is found throughout Europe, the facility was extremely interesting in the sense that it appeared to have mostly ceased operations and remained in that state. One hand is used on facilities for visitor safety (handrails, the elevator, and walkways) although the hands are not used elsewhere, a fact that makes the site extremely interesting. Having such a site in Japan would obviously be rather difficult because of the numerous legal constraints and need for evacuation routes in the event of a fire. The Center for Conservation Science and Restoration Techniques studied materials to restore the Otorii gate of Itsukushima Shrine. The study selected materials for use in a coastal setting with harsh conditions such as high temperature and high humidity, immersion in water, and the presence of salts. Forced degradation tests are currently being performed in the lab and an exposure test is being performed on-site. Exposure on-site began in June 2010, and the water content in test pieces is being measured and deterioration is also being observed, in every 2 months. 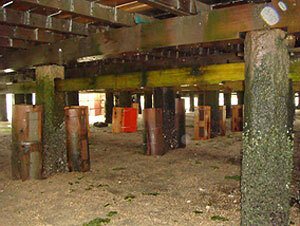 These tests will continue in the future, and plans are to verify deterioration via a strength test in 2011. Forced degradation tests in the lab include a UV irradiation test and temperature cycle test, and plans are to conduct a salt spray test in 2011. From March 3–5, experts from the 5 Arab countries of Iraq, Syria, Lebanon, Jordan, and Bahrain were invited to the National Research Institute for Cultural Properties, Tokyo. These experts exchanged information on cultural heritage and the current state of safeguards in their countries with Japanese experts. A meeting was also held to discuss potential efforts to safeguard cultural heritage through future international cooperation via links with other countries like Japan. The Japan Center for International Cooperation in Conservation seeks to construct a regional network to safeguard cultural heritage at locations throughout Asia and encourage Japan’s participation in those efforts. The Center has held international meetings with representatives of countries in various regions like Central Asia (2007), Southeast Asia (2008), and East Asia (2009). The Expert Meeting represents a valuable first step in constructing a new network from the perspective of safeguarding cultural heritage. This is especially true for western Asia, where many of the previous exchanges have dealt primarily with archaeological and historical research. 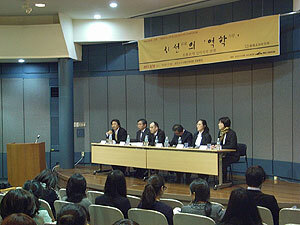 The 2010 General Assembly of the Consortium and a lecture was convened on March 11 (Fri.), 2011. 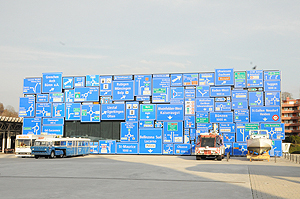 A report on Consortium projects in 2010 and projects planned for the following year were reported at the General Assembly meeting. 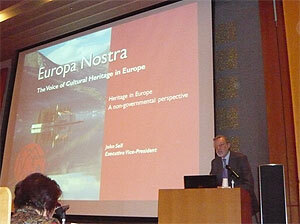 The lecture that followed was given by John Sell, Executive Vice-president of Europa Nostra. Europa Nostra is an NGO that is active in safeguarding European cultural heritage. Mr. Sell started by explaining the conditions that gave rise to the various cultures in Europe such as multiple languages and complex political systems. Mr. Sell also explained current conventions and administrative policies to safeguard cultural heritage. Mr. Sell then described the activities of Europa Nostra, such as its campaigns to preserve cultural heritage that is at-risk, such as Italy’s l’Aquila that was damaged by an earthquake, and its presenting of Europa Nostra Awards to recognize outstanding conservation efforts. For many years, Europa Nostra has encouraged coordination and cooperation with regard to safeguarding cultural heritage, and the organization’s experiences have provided a valuable reference for discussions of the nature of the future activities of the Japan Consortium for International Cooperation in Cultural Heritage.